Lucas+Western Architects was appointed to undertake the design development and specification to implement FCB Studio’s planning approved scheme for new visitor facilities at Holkham National Nature Reserve. The Lookout opened in late summer 2018. The building sits above flood level on a new earth mound, which used earth generated by creation of the new water-filled scrapes in the field adjacent. The steel superstructure follows a rigorous geometrical layout to create the building’s cylindrical form. 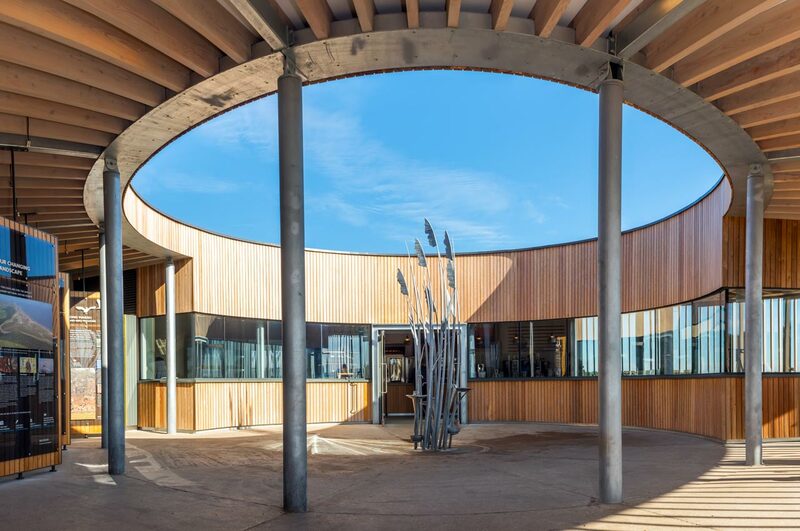 The outer screen of Larch fins unifies the building’s appearance whilst screening the human activities within from the Nature Reserve adjacent.